I don’t enjoy dark walks. We also have a black dog, so she stays on the lead whilst she’s not as visible as I would like. Great tips! I don’t have dogs, so I don’t have much idea about walking in dark with dogs. Will share this post with my friend, might be very helpful to her. Thanks for sharing. REally good tips here. An informative read for any dog owner. I do not have a dog but these are great tips! If I did have a dog I would walk it in well lite areas too. Great tips! I have a black dog so I think we need some more reflective items. I like the reflective collar. I like the dog walking tips… I think cloths is the best specially with the cold! I would love to get a dog, but need a bigger house first. Some great tips for dog lovers here. These are great points. We have a reflective collar and leash. What excellent tips. Am going to send this to a friend who has a new puppy. Thanks! Some great tips there. I didn’t know there were so many reflective items available for pets! 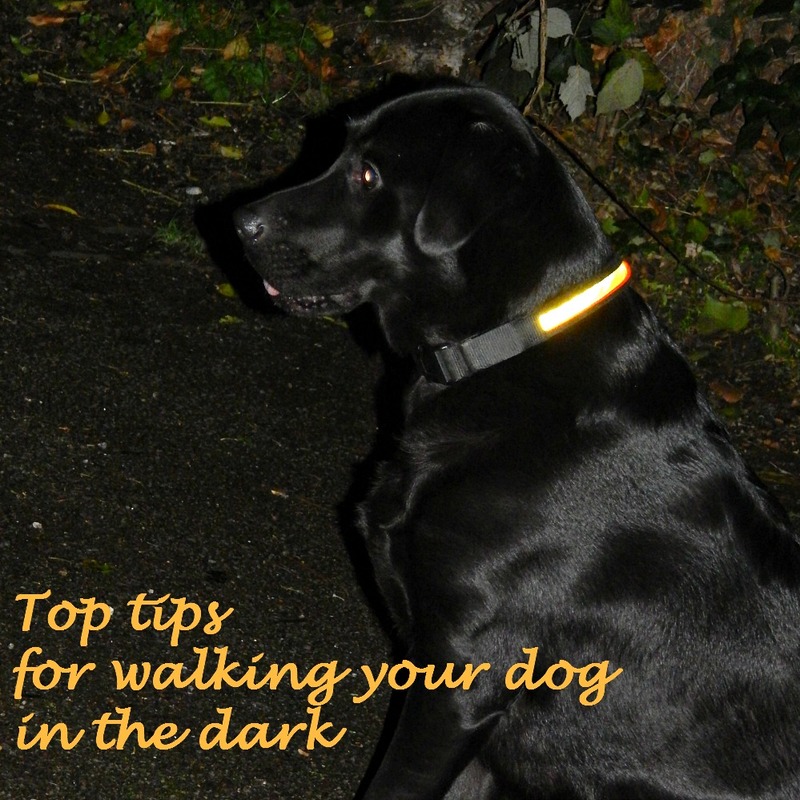 I have scared myself daft on a couple of dark dog walks – amazing how simple sounds can become scary when you cant see what they are! These are great tips! Thanks so much for sharing them with us! This is a great list. I am really scared of being out and about in the dark on my own and I think reflective clothing would definitely help. Great tips! I often have a hard time with my 3 at night so I get my husband to take them, this can help me do it on my own! Very helpful! Great post! We sometimes walk in the early morning and we both wear this screaming-yellow warning vests of the car too ( we look weird, but better safe than sorry). Really an unique and informative article for the dog owners.